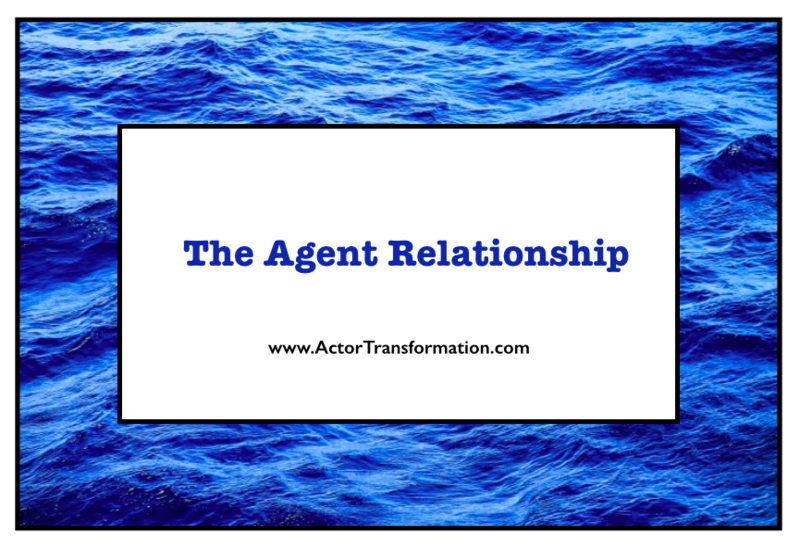 So many actors are looking for a new agent but have not taken the time to nurture their relationship with their current agent. This odd and special relationship is a lot like a marriage—perhaps a dysfunctional and sometimes long-distance marriage, but a relationship never the less. You both agree to partner up in business and in life. The optimistic hope in the beginning is that the relationship will be mutually beneficial to both sides. But alas… many of the agent/actor relationships do not go as one hoped it would in the beginning. After the honeymoon is over (aka the first month of them submitting you like crazy) , both sides seem to get disenchanted with one another. Seem to drift. And down the road one party or the other asks for a divorce (aka cancel the contract) or the actor just starts flat out “cheating” and looking for a better partner around the corner. And the cycle continues. Before you sign the divorce papers, see if these words (or couples therapy) might bring back the old flame in your relationship. ~ Remember – Your agents and managers work for you for FREE … until you book something. So every time they are pitching you, or submitting your online profile day after day, project after project, or even when they are just spending their limited time THINKING about you, they are doing so for free. Kind of puts things in perspective a bit. Actors are often surprised when their agent ‘never gets them out’ or doesn’t keep in touch. But the truth is that actors need to do 90% of the work. And if you are at the point in your career where it is really hard to get in the rooms and auditions you want to be in, cut your reps some slack. It might not be them. Make sure that you show your appreciation to them for the work that they are doing for you. Most agents only hear from there clients when they hear “Why aren’t you getting me out”. From here on out, I want you to be “The bearer of GOOD news”. Make sure your team (And all industry colleagues) are happy to hear from you. If you are calling, make sure your calls are upbeat, professional, and to the point! I would recommend that you email your agent once a week to let them know what YOU are doing for your own career. In the last 7 days I did this for my career…. This one small action of sending your weekly list can help your career in a number of ways. #1 – Your reps will know that you are actually working on your career and not waiting around for their phone call. #2 – They will see your name on a weekly basis and associate YOU with being proactive. Sometimes just the simply fact of them thinking about you at the right place and right time, might make the difference of them submitting you for a project…or not. # 3 – This is a great success habit to get into. Actors don’t always give themselves the credit they deserve for how far they have come. This documents your progress, keeps you motivated, and if you don’t have a lot to report, you might find yourself getting more done just so you have something to tell them! Every little bit helps. And if you keep an ongoing list, you can look back at the end of the year to see that your career has grown in leaps and bounds! Please start doing this small weekly task now…whether you have an agent or not. If you are sending your weekly list to your agent and do not hear a response back, that is ok. remember that this list is more for you than it is for them. Just keep proactive and keep sending out the good news. You just might find out that you and your agent fall in love with each other all over again!